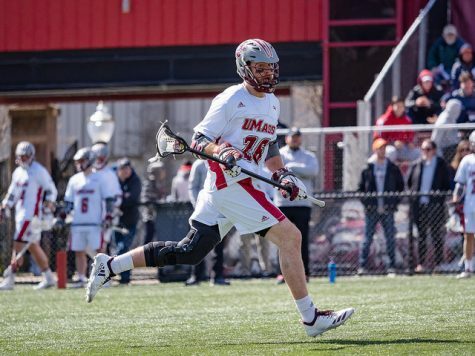 Massachusetts men’s lacrosse freshman Nick Mariano has totaled six goals between his first two collegiate games, both wins for UMass (2-0). The attacker was also named Colonial Athletic Association Player of the Week and Co-Rookie of the Week on Monday. 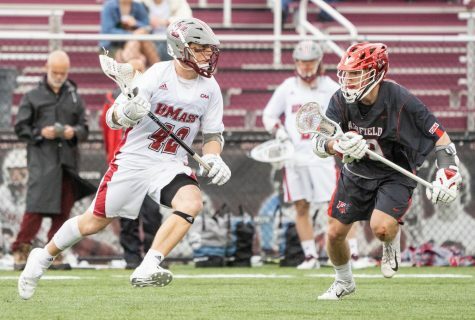 But as far as Chris Wojcik, the coach of Harvard—the Minutemen’s opponent on Saturday—is concerned, Mariano is simply playing to his ability. 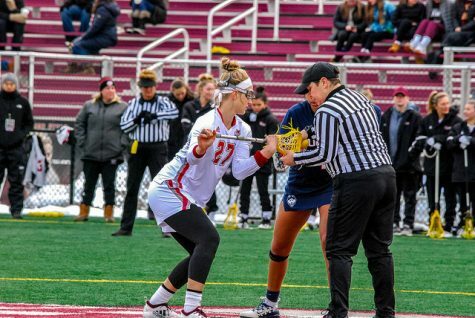 Wojcik, entering his fourth season with the Crimson, scouted the teen at Yorktown High School in Mohegan Lake, N.Y., during the 2012 and 2013 seasons. He said that Mariano’s capability to have multi-goal games at the Division I level is a threat that Harvard will look to stop in its season opener. The Crimson will also utilize Devin Dwyer (43 points) and Peter Schwartz (34 points), their top returning scorers. UMass coach Greg Cannella, in his 20th season, said the scouting report for Harvard isn’t straightforward. 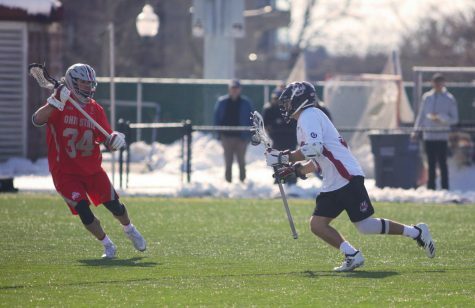 Harvard’s roster has taken a new shape after regaining defenseman Stephen Jahelka and attackman Will Walker, sophomores who were not with the team last year after playing in 2012. 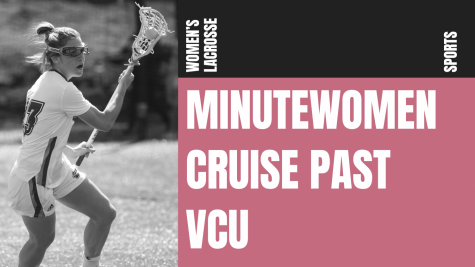 The Minutemen beat the Crimson, 8-6, last season on Feb. 23 in Cambridge, and haven’t lost to Harvard since an 11-9 decision on March 29, 2011. 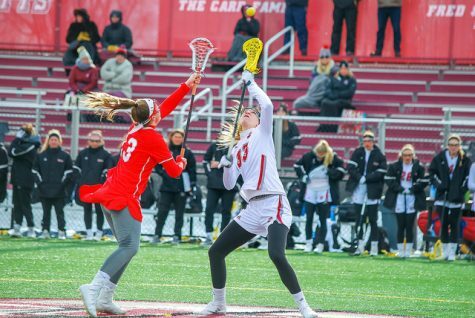 Still, Cannella warned against complacency by his team, especially on the heels of a dramatic 12-11 overtime win against Ohio State during the last time out. He also said his offense will have to find new outlets in case teams start to key on Mariano. Mariano played against Dwyer and Jahelka in high school, but said both of their games have evolved since coming to college. The scorer isn’t harboring lofty statistical expectations for himself heading into the rivalry matchup. He just wants to win. 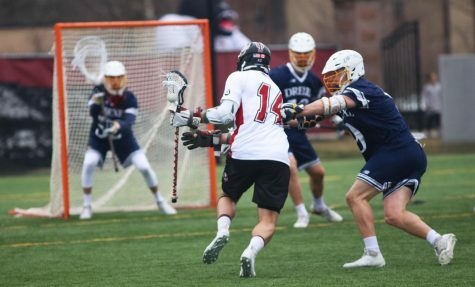 Matt Whippen, a senior, scored two goals in last season’s Harvard game. He expects the Crimson to be energized, speedy and out to prove themselves in their debut. 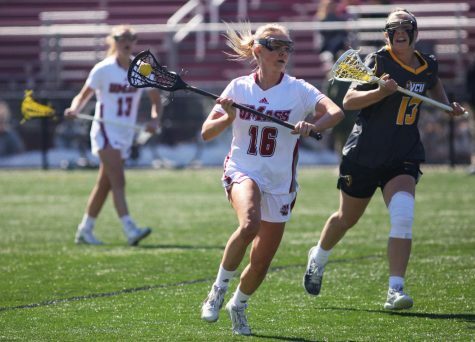 The attacker added that UMass also has something to prove, despite a strong start this year. 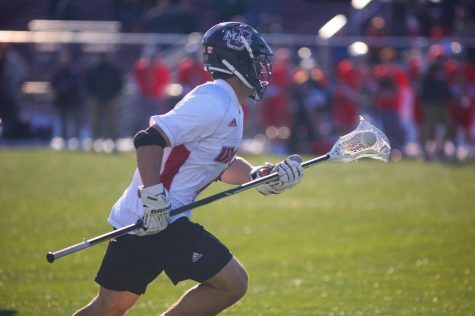 Zach Oliveri, a redshirt sophomore goaltender, took the sentiment a step further, saying that his team is the underdog every time they step on the field, no matter where they are in the rankings. 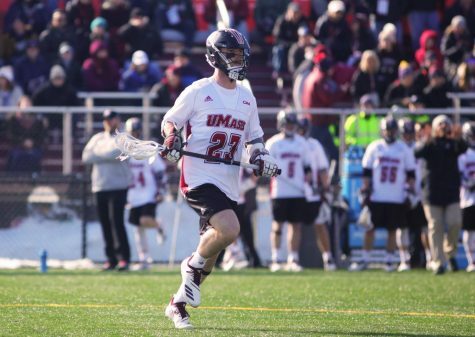 Oliveri advised that UMass sticks to its “roots,” meaning a blue-collar work ethic, coupled with careful preparation, to come away with a win against the Crimson. A victory would mark his second straight in the lifetime series. Cannella said that preparation is the only thing his team can control before facing an opponent with so many unknown variables. He called last year’s meeting a “dogfight” and expects the same on Saturday.